Somalia was known to the Egyptians at least 1,500 years BC. The region became strategically important after the opening of the Suez Canal in 1869. In 1888, Great Britain declared the area of British Somaliland a protectorate. Italian Somaliland was created in 1895 by purchase from the Sultan of Zanzibar. The two areas briefly combined from 1960, but there was a military revolution in 1969. Recent years have been marked by political instability. Somaliland in the northwest is an independent state but is unrecognised by Somalia and most other states. A transitional national government formed in 2000 has a mandate to create a new constitution and hold elections within three years. 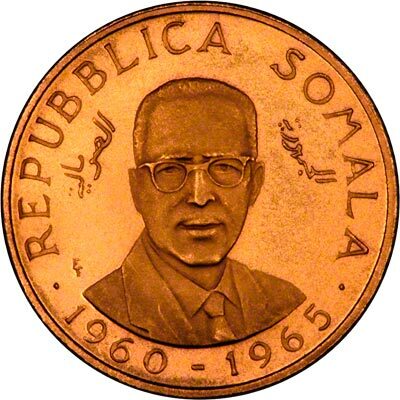 The first Somalian gold coins were issued in 1965 to celebrate the fifth anniversary of independence. 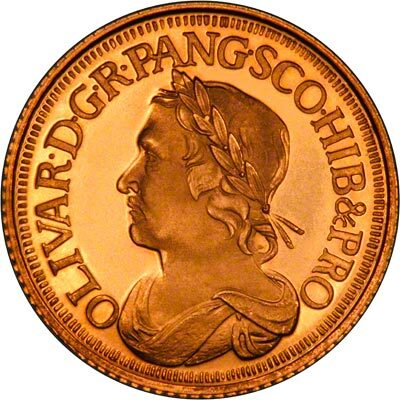 Other commemorative gold coins have been issued since. 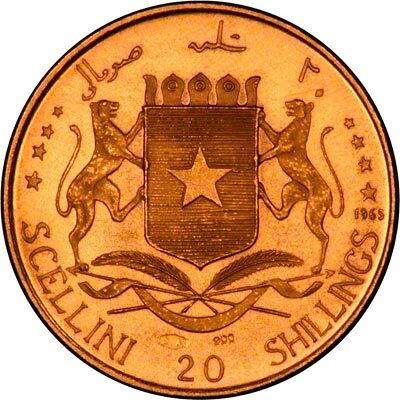 Somali coins are denominated in shillings, scellini in Italian (singular scellino), but also known as somalo, presumably the plural of somalo is somali. The proof gold set to commemorate the 5th anniversary of independence in 1965 was issued in 1965 and 1966. 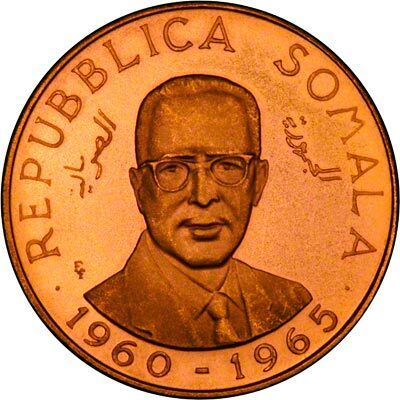 Its actual date of issue is shown very small on the right hand side of the reverse, whereas the dates 1960 - 1965 are shown very prominently on the obverse under the portrait of President Aden Abdullah Osman Daar. 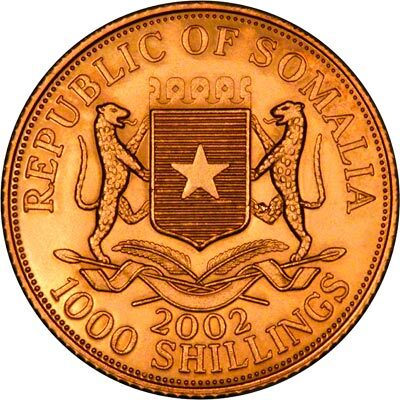 For Somalian coins in silver or base metal, or Somalian coin sets other than gold, please look at the Somalian Coins page of our original website. 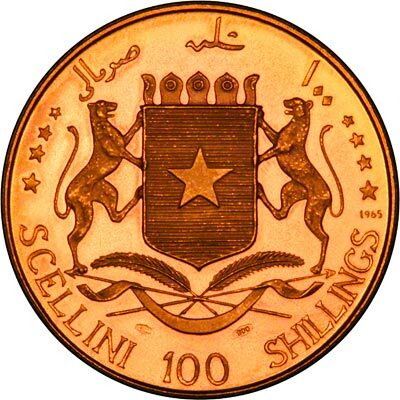 We make an active market in almost all world coins, gold or otherwise, including Somalian gold coins. If you have any of these coins to sell, please contact us, or post them to us for appraisal and offer.